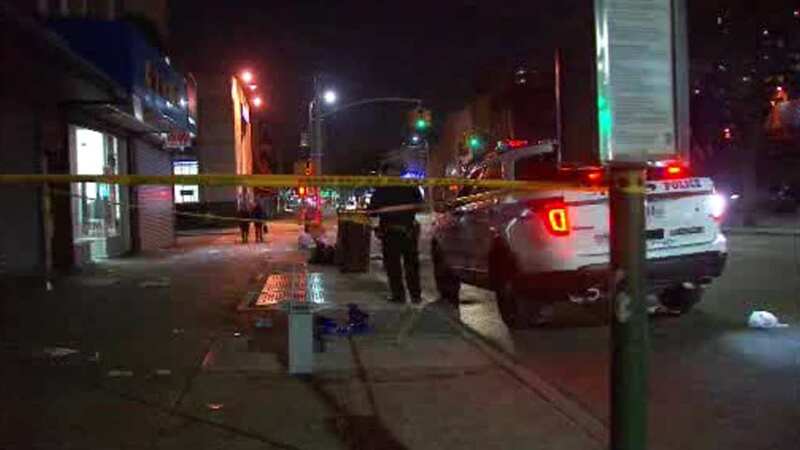 BROWNSVILLE, Brooklyn (WABC) -- A woman was grazed by a bullet in Brooklyn after a fight broke out nearby on Monday night. It happened outside of a clothing store on Pitkin Avenue in Brownsville just after 7 p.m.
Police say shots were fired during a fight outside the store. A 43-year-old woman was grazed by a bullet in the stomach and taken to Kings County Hospital in stable condition. Police say she was not the intended target of the shooting. So far, there are no arrests. The investigation is underway.